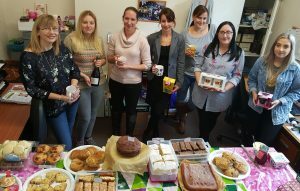 We are delighted to have raised £158.00 during our Macmillan Coffee Morning held last week. We sold lots of delicious cakes and played tombola! Thank you to all our staff for their support and generosity in helping raise money for such a good cause! 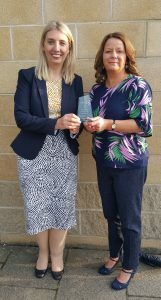 We are delighted to announce that we have been awarded the Lakes College SME Employer of the Year Award 2017. 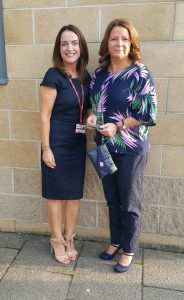 This is thanks to all the effort, hard work and support that our fantastic Office Manager, Tracy Dunbavan, puts in with our apprentices and has done for several years. We would also like to thank Stella Dodd, Kath Anderson and Margaret Caton for their continued effort and support with training apprentices. Tracy is pictured here with Pam Thomas, Director and Nicola McMullen, Lakes College Business and Management Training Advisor. We are running a PI drop-in session on Thursday 15th June 2017 from 10am to 12pm and 2pm to 4pm. If you have had an accident at work or on the road or a slip, trip or fall in a public place and it was in the last 3 years, why don’t you pop in and speak to us as to whether you might be able to make a claim for the injuries you have suffered. Appointments will be limited to 15 minutes on the day but if we believe you have a claim to be pursued, we will arrange a time that is convenient for you to speak about it in more depth.